Weight: 1 1/2 pounds Head and body length: 11-16 inches in length Tail: 10-15 inches in length Color: light blonde-orange to dark orange with a lion-like mane surrounding the face. High in the treetops (canopy) of primal forests (forests that have not been disturbed by humans). Coastal forests of South America, near Rio Sao Joao, and the Poco d’Anta Reserve in Brazil. Omnivorous – fruit, flowers, insects, small vertebrates, tree gum, nectars and bird eggs. 10-12 years in the wild, 15 years or more in captivity. ​These inquisitive animals spend their day foraging for food and looking for snack treats the zookeepers hide throughout the exhibit. 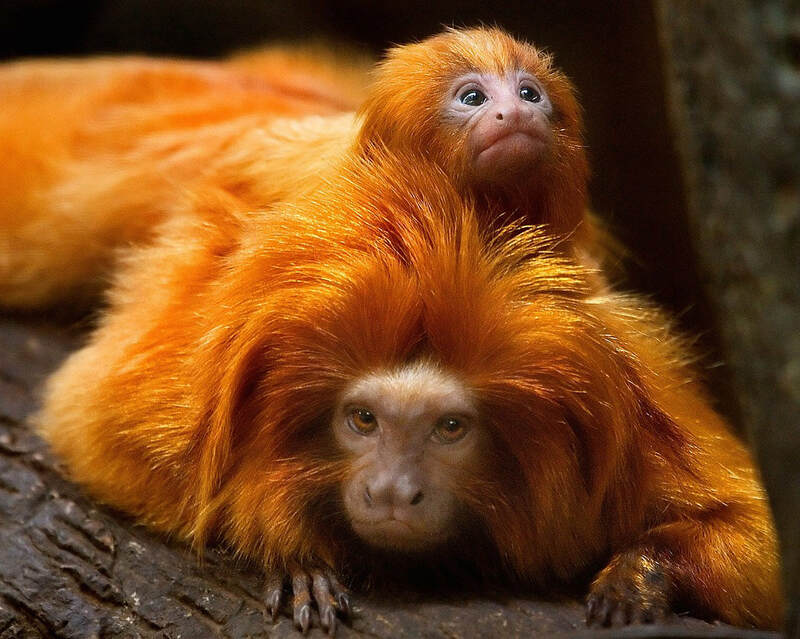 The monkeys are exhibited with red-footed tortoise because they share habitat in the wild. 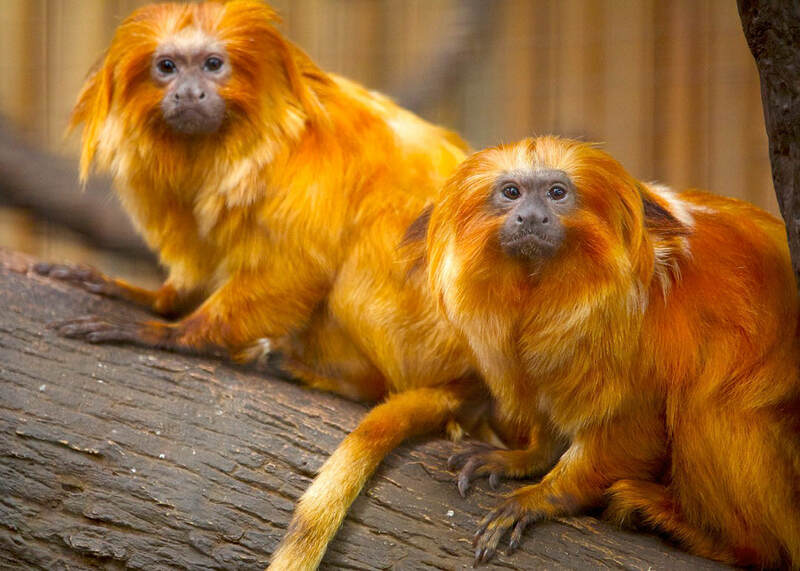 Next time you’re at the zoo, compare the Golden-lion Tamarins with other monkey species – the Howler monkeys, pygmy marmosets and pale-faced saki – that are also in the rainforest building. How are they alike? How are they different?